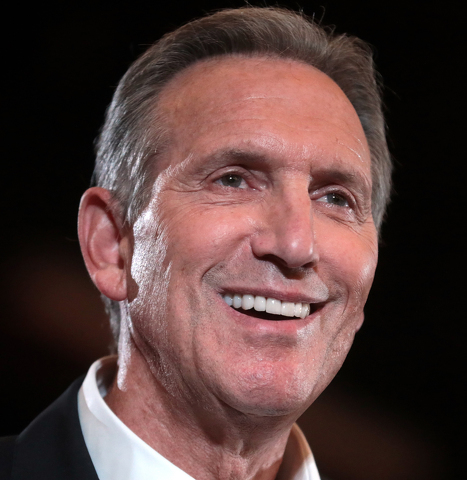 Coinciding with his book tour, former Starbucks CEO Howard Schultz recently said he is exploring the possibility of running for president as an independent. But in Starbucks lingo, for independent politics, the presidency is a venti order, when it may need to order a grande. The focus on the presidency is alluring, but a real independent push for change might be found by playing small ball and the long game. As a registered independent until 2008, I welcome a legitimate independent push to capture the political middle in this country. Even still in Pennsylvania, hundreds of thousands of non-affiliated voters are essentially disenfranchised because of the Commonwealth’s arcane closed primary laws. That should change — but more on that in a future column. Given Washington D.C.’s futile, extremist warfare, there is fertile ground to be captured in America by the middle majority. Both the left and right extremes stake non-negotiable postures. The nation is held hostage by both vocal extremes grabbing the attention of a media addicted to childish, hyperactive conflict and rancor. But conflict agents addicted to media attention will not build schools or badly needed infrastructure. They distract from building a real national security apparatus to face asymmetrical cyber threats to our financial system, power grids or election tampering that erodes our unity. Conflict alone won’t tackle drug addiction gripping both rural and urban communities. But could an independent presidential campaign end partisan rancor in D.C.? In reality, the Electoral College gives an independent candidate very little chance of winning. If recent history holds, a candidate like Schultz won’t win any states. Looking back on 2016, the presence of third-party candidates cost Democrats Pennsylvania, Michigan and Wisconsin. Trump got all of those Electoral College votes without winning an outright majority in any of those states. Those 46 electoral votes were the ballgame. But using 2016 results, let’s take a different view of Schultz’s chances and give him the state of Washington and those three swing states. That gives Trump 260 Electoral votes, The Democrat 220 and Schultz 58. If no one reaches the required 270 votes, it throws the election to the House of Representatives where one would assume the Democrats’ majority with 235 seats sends the Democrat to the White House. But the 12th amendment calls for a one-state/one-vote process. Votes from California, Texas and Pennsylvania, representing around 80.3 million people, count the same as the votes of Wyoming, Vermont and Alaska representing 1.9 million people. And despite the Democrats’ control of the House, the GOP has an advantage in the state-by-state delegations in 26 states, the Democrats in 22 with two ties (which could get really interesting). So given the challenges of an independent presidential run, is there any way to change D.C.? A real chance to shake up the nation's capital is an independent focus on House and Senate seats. With their current 54 percent majority in the House, the Democrats can put forth or block legislation. In the Senate, the GOP’s majority with 53 seats gives them control on most legislation (and then there is the filibuster). But agents of change can invest money in independent campaigns with the goal of electing 20-25 people to Congress and five or six senators. Given the sophistication of data on party registration and voting patterns it would be possible to identify 35 House races and 10 Senate races where the combination of factors — including the amount of money needed to win — would give an independent a chance. If the Indys picked up enough seats to deny the Democrats or Republicans a majority, they become the dealmaker on almost every issue. In the House, if the GOP had 197 seats, the Democrats had 213 and the independents had 25, they become the swing vote on every issue. A few seats in the Senate denying either party the majority would also work in a similar fashion. In the scenario above, the Indys are also the potential deciders in electing the Speaker of the House. If the Indys decided Democratic Speaker Pelosi and GOP House Minority Leader McCarthy are too extreme, they’d make deals for a more centrist candidate from either party. And while the major parties would still control committee assignments, Indy power becomes the fulcrum in the lever on most every vote. That gives them the ability to force change, move legislation and address the real issues facing this country. Yes it would mean dialogue and compromise on issues, but our nation’s very foundations were built by the compromise and consensus building of wise and open-minded leadership. If the political middle is looking for change, then women and men championing the cause of a new political movement may be able to find the cracks to break open the current cycle of two-party conflict that threatens the future of the Republic. 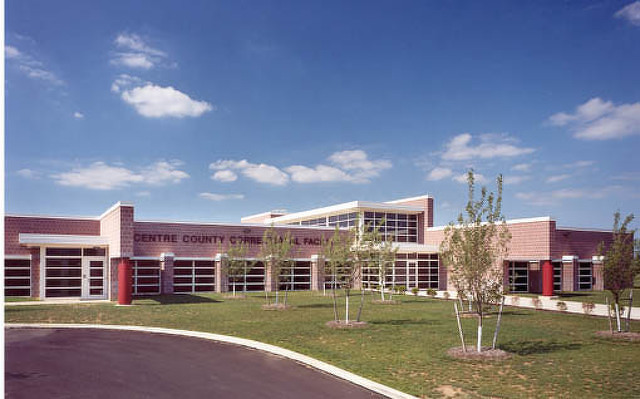 Centre County Correctional Facility officers will begin using body cameras for the first time, pending formal approval by the Board of Commissioners.